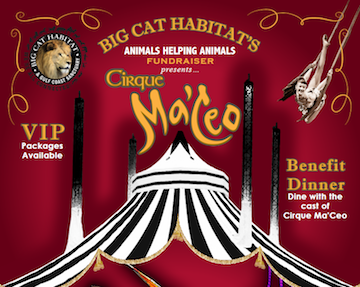 The Combo Ticket includes admission to the Big Cat Habitat & Gulf Coast Sanctuary park AND a Mezzanine seat for Cirque Ma'Ceo! Mezzanine seats are a bleacher stlye seating, the section is the side view to front view- Open seating within your section. 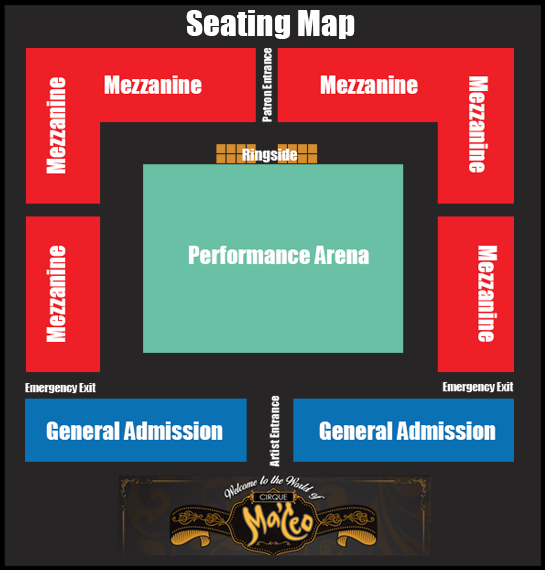 Please see seating chart for the Mezzanine section.